The Apex Legends map, Kings Canyon, can take a little getting used to, so here are some of the best landing spots we've found so far. The Apex Legends map, known as Kings Canyon, is a varied beast of swamps, facilities, and curious bones from — what look like — leviathans. The Titanfall universe is broader than we first realised, but one thing remains the same: Respawn sure know how to make a good map. While it lacks the bright colours and ultra distinctive areas of Fortnite or the constant homages seen in Blackout, the Apex Legends map is one that you can get to grips with fairly quickly. It’s well-balanced too, with plenty of points of interest versus wide open spaces meaning that there will be a landing spot for everyone. The bigger the spot, the bigger the chance of running into other players, so bear that in mind. 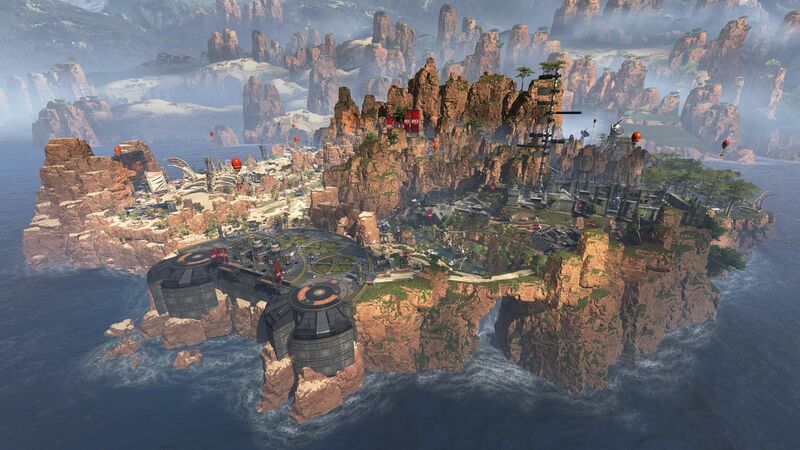 Here’s your quick look at Kings Canyon, the first and only map in Apex Legends so far. As you can see, there are a tonne of different places to land that are fairly close to each other. As the player limit is sixty, the map is understandably not on the same scale as some of its peers. Absolute bedlam goes does down here each match. If you’re hot dropping, this northernmost named location can score you a lot of kills. Try to land in the “facility” at the back. The “Tilted Towers of Apex”, Skull Town can give you a huge amount of kills, just as long as the RNG is on your side and you take a second to properly loot up from spawn. Hard work to come out of here alive if your initial pickups aren’t lucky, mind. This westernmost landing spot is cordoned off by a huge wall and two aircraft parking pads. Land on the most southern one; there’s more loot and more security with an easy getaway in the form of a zipline. Do not cross the zipline in the middle with other players near unless you’re insane. A weirdly popular spot despite it having almost nothing there, Bridges is the Apex equivalent of Salty Springs. The “house” at the bottom is one of the better places to land here, or the overhanging building instead. Can either be horrendous or glorious — there is no in between. Don’t drop through the roof, try to go in through the door on the side and into one of the more secure rooms instead. May the RNG gods shine on you if you’re brave enough to try Bunker. The loot is good but inconsistent, and don’t also be surprised to see someone somehow get in front of you at the main doors after coming from nowhere. Caustic’s playground. Incredibly quiet almost no matter what, Swamps is a little tricky to orient yourself in but should give you some peace to loot up for the later game. An oddity of a landing spot, Relay doesn’t really look like anything else on the map and it looks like few people land here, either. Who’s ready to fly on a zipline? Bizarrely unpopular despite its size, Cascades offers decent loot, but everything is so spread apart that it’s difficult to get to teammates. Get on the rope up to the Watchtower once you’re done before maybe pushing onto Artillery. I personally know I am going to fall asleep if the Jumpmaster takes me to Wetlands as nothing happens for about 90% of the match. Expect to run into bad players here. The ratio of loot to the size of this landing spot makes it less than beloved, making it a good place to set yourself up for a patiently earned win in Apex Legends. Why does anyone go here? One great feature of Apex Legends is that there will be a supply ship with illustrious loot from the get-go just before you land anywhere. You can spot these on your map by a giant blue moving ship icon. Once it’s settled (or even before if you time your jump perfectly) you can board the ship and pilfer some high quality gear. Just beware that other players are almost certain to make a beeline there, too. Don’t forget that you don’t take fall damage in Apex Legends, so pull off the superhero landing or zip down instead. In addition, the game will randomly select Hot Zones during a match, which essentially highlights where some very helpful loot is on the map while also making it abundantly clear to everyone else. Just like Supply Ships, there’s a huge risk and reward to consider with these. Honestly, I would say only go for these if you have a good squad on comms as you can get destroyed quite efficiently otherwise. 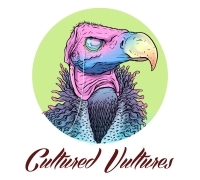 – There’s a knack to landing quicker in Apex Legends. – If you want better gear, the bigger places are best. Bunker, for instance, is absolutely stacked full of high-quality loot, but don’t expect to be on your own. – Make sure to jump separately once you are near your landing spot in Apex Legends to not be fighting over the same room full of loot. – The unnamed locations may actually be your best bet if you want to place high. Find a cluster of buildings away from everything else. – Don’t stray too far from your teammates when you first land. There may be the temptation to cover every building in your initial area, but you may run into another squad on your own. – There’s no fall damage, so don’t be afraid to land on a tall building and then just jump down. – There will be drop beacons shortly after you initially land. Make sure you approach these as a team as others will likely also be keen. – Don’t spam all pick-ups. It may be too tempting to pick up everything on the floor the second you get through a door, but look at everything before you do — snipers aren’t that common, so beware of taking up inventory space with something you may never need. – Try not to hang around too long. Not only will the circle positively eat up your health, but other squads may be rotating in your direction.